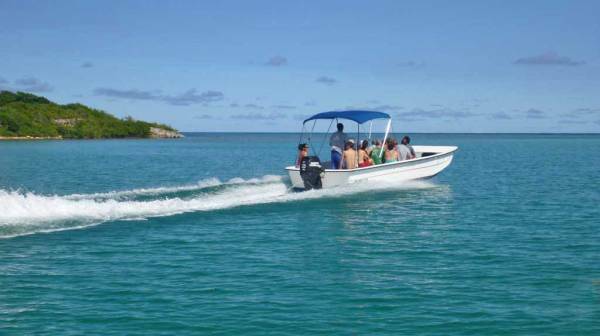 The Stingray City Snorkel in Antigua was one of my most favorite excursions. We traveled a half hour by bus from St John’s to the small village of Seaton. 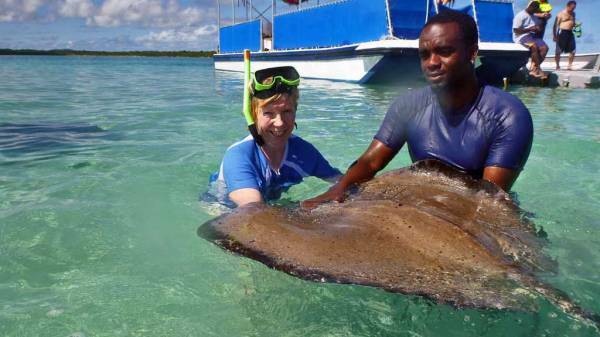 In Seaton, there’s a tourist facility called Stingray City. There were change rooms and picnic tables under shady trees. An instructor told us about the Southern Stingrays we were going to see. There were several skiffs and a pontoon boat to take us on a 5 minute ride to the snorkel site. The stingrays are found at Barge Reef. At the reef, there was a small dock. The water was 3 – 4 feet deep with a sandy coral sea floor. As soon as our tour arrived, the Southern Stingrays came to greet us. They like to be fed and rush to meet the guides who will be feeding them. 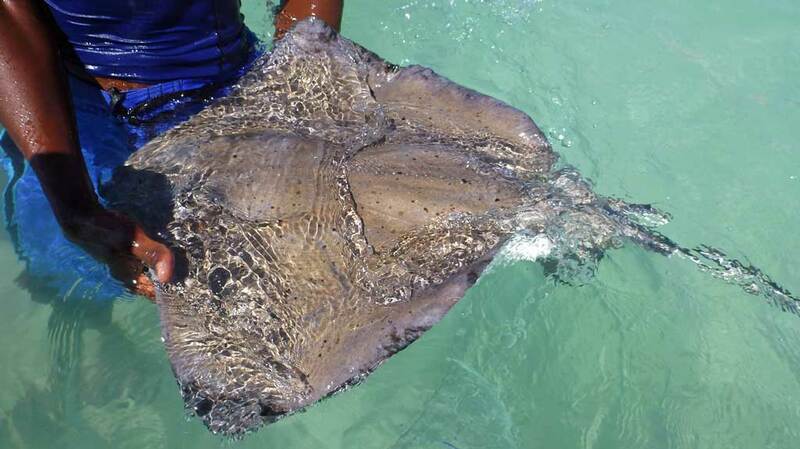 The male stingrays are very small and the females are very large. It is important to shuffle your feet to avoid stepping on them, because stress might cause them to shoot their tail barb. In 9 years of operation, no one had ever been hurt. They guides assisted in holding the rays. Then they showed us how to hold squid and feed the rays. The important point was to keep your thumb and fingers tucked tightly in. When they grabbed the squid from my hand, you could feel the strong suction of their mouths. They won’t bite your fingers on purpose, but their eyes can’t see what they are eating. So, help them out and keep your fingers tucked safely away. There were also a few tropical fish at the site. One medium sized barracuda regularly patrolled nearby for scraps. The site and the stingray viewing were prefect. Everyone had a great time. Back at the shore there were freshwater outdoor showers, change rooms, shade and free rum. Highly recommended.